Designer and programmer Matthew Plummer-Fernandez recalls his first encounter with the web’s hardest working minions. 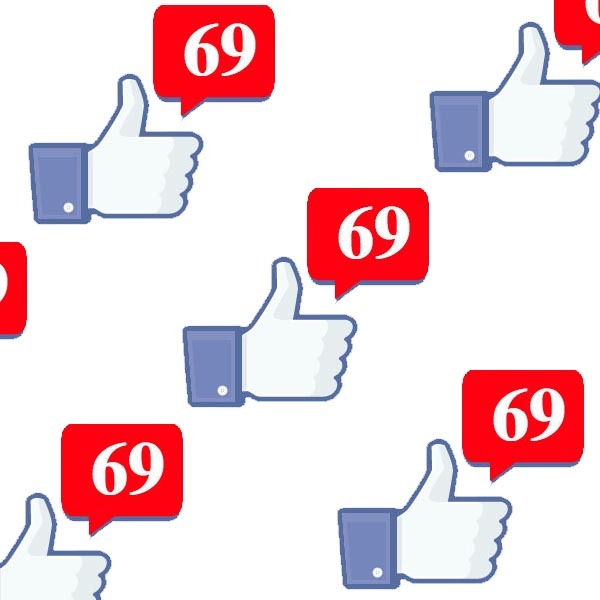 “I’ve made a bot that ‘likes’ everything on Facebook,” said Julien Deswaef, an artist and coder that I had just met in early 2012 during a workshop hosted by Marius Watz at iMal in Brussels. Marius was the big name at this event, however it was the lesser-known artists that really blew my mind that week, and Julien was one of them. “What is a bot?” I asked; back then I really did not know. Bots are computer scripts that are left running to automate all sorts of network tasks. The bots that Julien brought to my attention, however, belonged to a fairly new typology — the automation of social media. Social media had never fascinated me before; I immediately associated showing interest in it with marketing hype. But to leave a script running to manage a personal account was totally subversive, a new blank canvas on which to express a discontent for social media from within. Since that workshop, I’ve discovered so many bots — some poetic, some parodic, some witty, some pesky — they now come in all colours, most of them playing out their roles on Twitter. I’ve even made a few of them myself, but I’m still in awe of my first bot encounter. Julien’s relentless Facebook liking bot is called ‘Love Machine’ and it’s brilliant for its simplicity and the contradictory complexity of its outcome. Amidst the hard-line, advanced and critical network art that is currently being championed, this project is the sort of one-liner that your mum would understand; and though it is undeniably funny, it maintains an important critical function. While it sounds an easy project to execute, it turns out that Facebook has its own scripts programmed to penalise ruthless automation. Because of this, Julien has had to mimic the sporadic interactions of humans to keep the bot under the radar. The artist has also had to forfeit his own Facebook account to the bot — you could interpret this as performance art, but Julien calls it software art. Many of his friends instantly complained about having everything liked by him. I follow him/it on Facebook, and yes it’s frustrating, but it is only irritating because it holds up a mirror of how pathetic your Facebook life really is; the bot likes every single mundane trace you leave on the site. After a while your whole Facebook begins to malfunction. The recommendation algorithms begin to think you and Julien are best friends and the system therefore suggests to you all the things that he/it likes, which of course could be anything. I can’t even imagine how dysfunctional Julien’s Facebook is. Well I could, if I wanted to, because the software art artefact is available for anyone to run on their own profile. Perhaps what I mean to say is that I can’t imagine many people would be willing to destroy their friendships over sudden, uncanny and unaccountable expressions of love. …is a designer working at the intersection between technology and culture. Originally trained as a mechanical engineer, he went on to study graphic design at UCA and product design at the RCA. He is currently employed by the Goldsmiths Interaction Research Studio. He is perhaps best know for his work creating software tools to manipulate physical objects by utilising 3D scanning and printing processes; this explicates his wider interest in the roles that authorship, copyright and artistic production play in a digital age. An internet bot is a software application that performs simple monotonous tasks, far too mundane for a human operative, in huge volumes. The most common use for bots is web spidering, the act of indexing the content of websites so that they can be categorised, sorted and searched. They can also be used for less abstract purposes, such as automatically placing higher bids on auction sites, or (poorly) emulating human interaction by posting the same message repeatedly in a chat application. There are also many malicious bots, with the most commonly encountered being the pernicious spambot, which harvests email addresses in order to fill your inbox with lewd advertisements and questionable medical treatments.